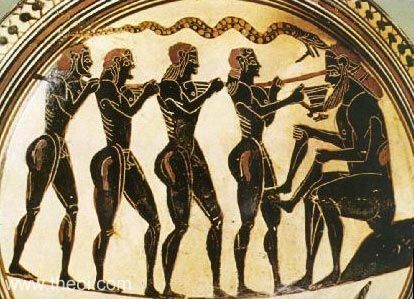 Odysseus and his men drive a stake into the eye of the Cyclops Polyphemos. The giant sits on a rock holding the dismembered legs of a man. Odysseus holds a drinking-cup in one hand.